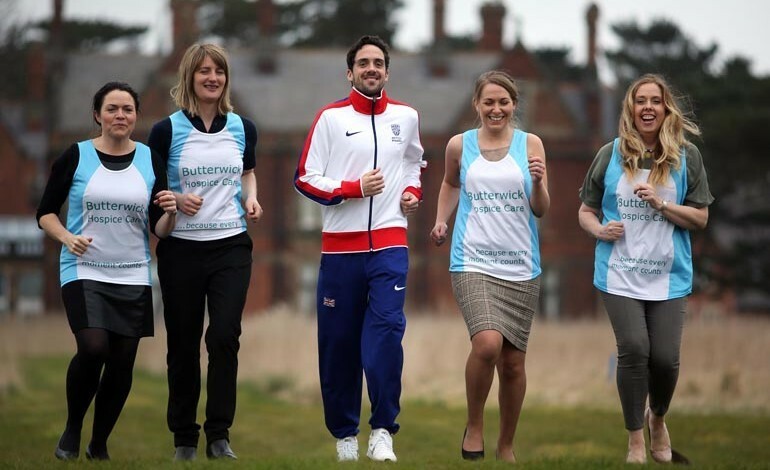 Newton Aycliffe solicitors Hewitts has agreed to support the Butterwick Hospice’s Great North Run campaign this year. 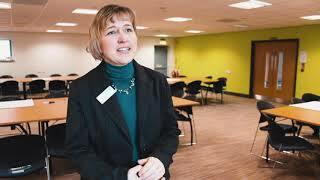 The hospice, which has sites in Bishop Auckland and Stockton, visited businesses during a news and networking event on Aycliffe Business Park recently. Butterwick has 320 places for this year’s September Great North Run – but more than 100 of those have already been snapped up. Fundraiser Helen Kirby told Aycliffe Today: “It’s one of our really big events, raising more than £100,000, which is vital as it costs £10,000 a day to run our services in Bishop Auckland and Stockton. “We’ve got two guys from Hewitts Solicitors, Callum and Ben, who’ve signed up to run for us, which is great. Staff from Rockliffe Hall hotel have already signed up to run for the hospice, including sales & marketing manager Katie Scott, spa manager Victoria Lees and public relations manager Claudia Robinson. They’re pictured (above) with Teesside athlete Matty Hynes, who recently ran alongside Mo Farah for Great Britain in the World Half Marathon Championships, at the Rockliffe launch. Hynes, 28, from Middlesbrough, said: “It’s the biggest half marathon in the world and charities survive on these sorts of events. “The Butterwick Hospice is an absolutely fantastic charity, and the more people can take part the better. Butterwick chief executive Graham Leggatt-Chidgey added: “The Great North Run is by far our largest event, and as a charity which needs to raise more than £10,000 a day to pay for patient care, the opportunity of raising more than £100,000 is a huge thing for us. “One of the great things about running for us is that we have guaranteed places, so if people are interested they just need to go on our website and sign up, because places are going quickly already. The Butterwick Hospice was set up by Mary Butterwick in 1984 and now has three sites across the North-East. Its services run 24 hours-a-day, 365 days a year, at a cost of more than £3.5m a year, and it currently offers care and support to 2,000 patients and their families.